mmadigital, the online marketing agency for law firms, has added a further three law firm clients to its growing client base. Award-winning legal business, Riverview Law appointed the agency to overhaul its existing website focusing on video content. The business has recently announced further plans to recruit 30 commercial lawyers and business legal executives on the back of revenues growing over 100%. The new fully interactive mobile-optimised website uses video to bring to life the Riverview Law ethos. Gloucester-based law firm, Tayntons. The firm’s website has been re-created to focus on the firm’s pride in being based in the City and uses distinct imagery of its heritage and location to bring colour and familiarity to the site. mmadigital have also created a full-optimised website designed for consumers to view on any device. Portsmouth-based firm Larcomes also appointed mmadigital to redesign and upgrade the firm’s current website to better showcase its full range of services with brand new client focused content. 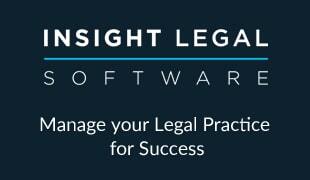 Law firms looking to ensure they make the most of modern technology to reach new clients can contact mmadigital via www.mmadigital.co.uk.